OSAKA — The Japan Sumo Association on Friday notified Osaka Gov. 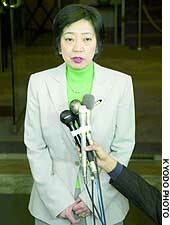 Fusae Ohta that it will not allow her to enter the sumo ring to present the governor’s prize to the winner of next month’s Spring Grand Sumo Tournament. But the association said it would conduct a nationwide survey to decide how to deal with the matter in the future. It is the fourth time Ohta’s request to make the presentation in person has been denied. Women are traditionally not allowed in the sumo ring. For the past three years, a male deputy governor has taken Ohta’s place when presenting the award. 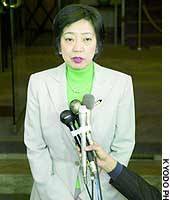 Ohta said she was aware that in a sport with such a long tradition as sumo, it is difficult for an issue of this nature to move forward swiftly. “As long as I am governor, I would like to continue efforts to have (the related parties) understand my sincere desire to present the award personally,” she said. The Spring Grand Sumo Tournament will be held next month at the Osaka Prefectural Gymnasium.